Add 3 qualifying products to your basket and the cheapest will automatically be free. Exclusions apply. Certain products limited to 1 unit per order. Offer valid for a limited time only. 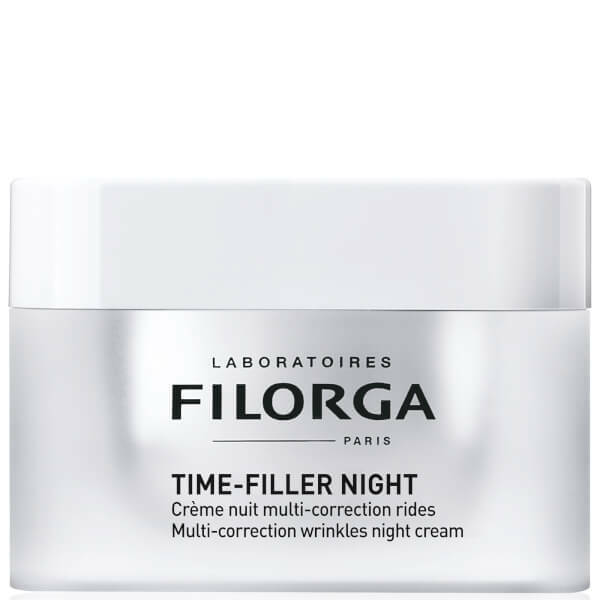 Wake up to plump, youthful skin with the Filorga Time Filler Night Treatment; an anti-ageing moisturiser with a comfortable and soothing cream-gel texture that visibly minimises the appearance of wrinkles, night after night whilst you sleep, when skin is most responsive to repair. 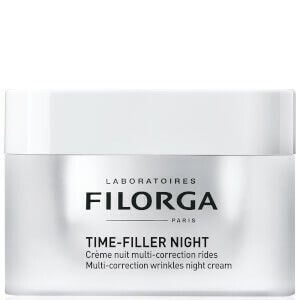 Formulated to target all types of wrinkles caused by contractions, dryness, expressions, pillow creases and even morning puffiness, the nourishing night cream harnesses the smoothing and moisturising powers of Hyaluronic Acid, a powerful collagen booster, plant extracts and Gluconolactone combined with a peeling-effect active to smooth micro-cracks in the skin. 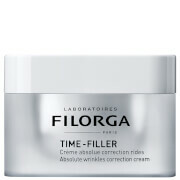 Promoting elasticity and correcting signs of fatigue, the detoxifying treatment leaves skin fresher and more luminous with a firm, plump and bouncy texture that exudes restored youthfulness. 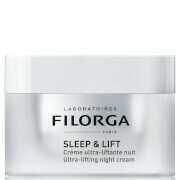 Apply in the evening to the entire face and neck after cleansing. 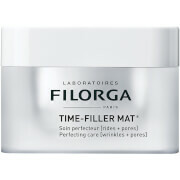 Massage in until it is absorbed. Aqua (Water , Eau), Propanediol, Glycerin, Dicaprylyl Carbonate, Hydroxyethyl Acrylate/Sodium Acryloyldimethyl Taurate Copolymer, Methyl Methacrylate Crosspolymer, Imperata Cylindrica Root Extract, Butylene Glycol, Cetearyl Isononanoate, Gluconolactone, Squalane, Sucrose Palmitate, Ammonium Acryloyldimethyltaurate/Vp Copolymer, Phenoxyethanol, Parfum (Fragrance), Glyceryl Linoleate, Stearalkonium Hectorite, Caprylic/Capric Triglyceride, Tocopheryl Acetate, Sodium Hydroxide, Chlorphenesin, Cetearyl Dimethicone Crosspolymer, Polysorbate 60, Sorbitan Isostearate, Xanthan Gum, Propylene Carbonate, Pentylene Glycol, Peucedanum Graveolens (Dill) Extract, Prunus Amygdalus Dulcis (Sweet Almond) Oil, Sodium Chloride, Carbomer, Silica, Hydrogenated Vegetable Oil, Caprylyl Glycol, Citric Acid, Biosaccharide Gum-1, Sodium Lactate, Sodium Hyaluronate, Polysorbate 20, Sodium Citrate, Passiflora Edulis Fruit Extract, Crithmum Maritimum Extract, Glucose, Potassium Sorbate, Potassium Chloride, Calcium Chloride, Acrylates/C10-30 Alkyl Acrylate Crosspolymer, Tocopherol, Magnesium Sulfate, Glutamine, Acetyl Hexapeptide-8, Sodium Phosphate, Ascorbic Acid, Sodium Acetate, Dimethicone, Lysine Hcl, Arginine Hcl, Palmitoyl Tripeptide-1, Alanine, Histidine Hcl, Valine, Leucine, Threonine, Isoleucine, Palmitoyl Tetrapeptide-7, Tryptophan, Phenylalanine, Tyrosine, Glycine, Polysorbate 80, Serine, Cystine, Cyanocobalamin, Glutathione, Asparagine, Aspartic Acid, Ornithine Hcl, Glutamic Acid, Nicotinamide Adenine Dinucleotide, Biotin, Proline, Methionine, Taurine, Hydroxyproline, Glucosamine Hcl, Coenzyme A, Sodium Glucuronate, Thiamine Diphosphate, Retinyl Acetate, Inositol, Niacin, Niacinamide, Pyridoxine Hcl, Calcium Pantothenate, Riboflavin, Sodium Tocopheryl Phosphate, Thiamine HCL, Folic Acid.